Our journey to Peru began in December, 2010, when I received a vision and an invitation to Lake Titicaca and the Andes. My afternoon meditation opened into the higher dimensions of Light, and a connection was made across time and space. An image of a rainbow coloured serpent eagle appeared, strongly associated with fire. Then the image shifted entirely into an eagle form. I opened my awareness to the vision and then intentionally moved into my higher dimensional, infinite being. Suddenly, I shape-shifted into a rainbow eagle myself. I first flew over unknown landscape, then suddenly broke through an invisible veil, and flew through a vast starry sky. I soared in this sky, in a great radiance, then came to land near a lake, filled with liquid gold. Immediately afterward, I knew that it was a pointer to Peru, to a future journey to the Andes, and the lake of liquid gold (Lake Titicaca). The time for the journey was set. We traveled to Peru, to Macchu Picchu, Lake Titicaca, and the Nazca lines in May 2012. I can only give a glimpse into the threads of energy, power, and galactic history of the places that we visited in the Andes of Peru and Bolivia. There are more layers and aspects that could easily fill a book. I have chosen a few to share, of particular significance, that shed light, so to speak, on the past and potential futures. These teachings and observations from the land and resident spirit beings provide a window into a multi-dimensional Earth beyond what has traditionally been reported or explained about these sacred sites and energy nodes. Our arrival at Macchu Picchu was blessed by the first clear day of the season — cloudless skies at dawn for the photos posted here and on Sacred Light Photography. Macchu Picchu has been a site of creation, ritual, and energetic transformations since long before the conventionally reported history of the Incas. Most approaches to the history of Macchu Picchu neglect the energetic impact of the planetary cataclysm that occurred approximately 12,256 years ago, which destabilized Earth’s energetic grid and multi-dimensional matrix. 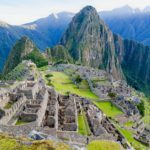 So now, Macchu Picchu, and the ruins of the Sacred Valley and Cuzco, are viewed through a diminished dimensional lens, and their history is re-told through a much lower vibrational perspective than the original creation and use of these sacred sites. Macchu Picchu and associated ruins are located on a series of energy nodes, for access to higher dimensional planetary planes, as well as, in the past, galactic consciousness. These originating intentions were of an exploratory, expansive, and, mostly, elevating nature and intention. However, as other energetic influences began to dominate the planet and this region, these powerful places became situated to serve a different set of goals and manipulations. It should be noted that a powerful place does not guarantee sanctity, Light, or ascended healing — energies can be accessed and channelled for many purposes. And, in the case of Macchu Picchu, these multiple planes of energy still co-exist in the complexity of space-time, from an extensive energetic and “physical” history that reflects a variety of peoples, projects, and intentions. With dimensionally open eyes, our time at Macchu Picchu was both powerful and surprising. Far from being the pure, exalted place of energy and healing recounted by many, we experienced that essence — and much more below the surface. The light of this place is quite mixed with the energetic blood of sacrifice, corruption, and (soulful) disease. Particularly well-known sites, such as the Sun Temple, could be seen for both their immense beauty and power, as well as the desecration that has occurred there, particularly of women and the Divine Feminine. In accordance with intentions set long ago, our time was spent as both witnesses and healers of this place and times. 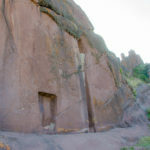 The apparent “ongoing mystery” of the creation and use of the Ollaytaytambo monoliths (or megaliths) is a reflection of the diminished dimensional awareness that I described above. When seen today, they appear as massive immovable stones — incredible and inexplicable from the standpoint of current technology. In fact, they can be viewed quite differently, if visualized from their creation in a higher dimensional period of Earth history. Then, the technologies of energy, mind, and physicality were quite different than today. The perfectly fitting and precisely arranged stones (see above) are more accurately like crystals, when perceived from a higher vibrational perspective. In higher vibrational space-time, they link places that are appear quite distant from Ollantaytambo, and provide a series of energetic conduits to other sacred sites and power places. One can visualize this as like an energetic aqueduct, a vast network of inter-dimensional transportation and knowledge, flowing through the planetary system and beyond. While I do not enjoy sharing so much of destruction and corruption of higher vibrational energies, many sacred sites near Lake Titicaca also reflect these histories. Of course, they are very powerful and illuminating places today — but, truly, a shadow of what they have been — and could one day be again — in Earth’s energetic matrix. For these events to be known, and, ultimately elevated, it is necessary to see these sacred energy sites of Peru much more deeply than they have been usually presented. They are not simply high vibrational energetic playgrounds or healing spas. In fact, many contain energies and intentions not aligned with the highest well-being for Earth dwellers and pathways to awakening and ascension. Again, I report this from a place of love and concern for those that seek the power and ascension energy activations of these places, but may not recognize the complexity of energies and histories that course through the landscape and multi-dimensional energetic matrix of the Andean energy nodes. Inca Tonohuire is one such place. Atop a hill overlooking Lake Titicaca, it is surrounded by serene quinoa farms and small traditional houses. These quiet and simple physical appearances belie a long energetic history and great changes. Our arrival was marked by my sighting of a cougar — in mid-morning — on the stone wall on the ruins of the sacred site. Vast energetic power and healing sacred geometry still resides here — during a ceremony that we conducted, a large Lemurian crystal physically shot from Paul’s hand and shattered into many pieces. That kind of power. The site itself is on a powerful Earth ley line, transiting the Lake Titicaca region in Peru and extending towards Isla del Sol in Bolivia. This planetary energy channel, however, is now much disrupted, like many other ley lines on Earth. The shattered crystal described above is a good metaphor — once a strong and clear structure, this key Lake Titicaca ley line is now fragmented and a fraction of the energy and expansive pathways now flow through. This observation was mirrored in our experience later that day — May 20, 2012 on the solar eclipse — at the Aramu Muru stargate. Once a great crystalline portal, we witnessed a powerful past and echo of the inter-dimensional energies that once flowed to great civilizations of this region. Our journey was fulfilled with four days on Isla del Sol, during an intense period of cosmic alignment. The island itself is largely energetically unremarkable — the powerful energies reside and emanate from an area offshore, under Lake Titicaca, to the north. The island is quite sparsely vegetated, organized around dirt pathways for sheep, llamas, and alpacas. Heavily touristed, particularly on the southern end, it hardly appears as a destination of sacred healing energy and the awakening Divine Feminine. Once again, we were surprised at what we experienced! 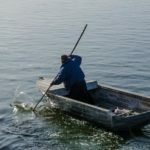 While we explored the offshore energies briefly by hiring a local boat, the higher vibrational connections were more accessible and solitary for ceremony and alignment on land. These immense, generative planetary energies extend across Lake Titicaca, to the sacred sites of Amantani Island and Sillustani. Amantani Island, is a strong emanator of healing sacred geometry, with its expansive underlying higher vibrational crystalline caves. The energy node of Amantani Island, with the dual Temples of Pachamama and Pachatata, was the highlight of our explorations of the region. Our journey through the sacred sites of the Andes, and through the energy nodes of Lake Titicaca, culminated with a blessing and celestial activation on May 25, 2012 on Isla del Sol.